How do I add a holiday pay rate? 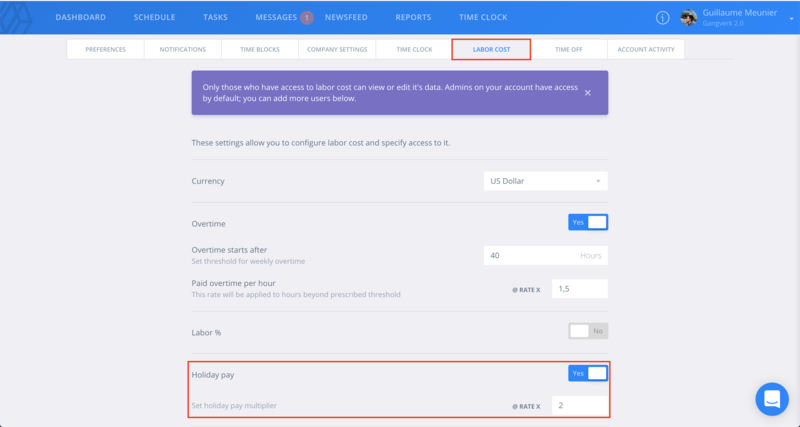 Premium users can now mark a day as a 'Holiday' on the schedule and elect to set a higher rate of pay for that date. First, you have to make sure this feature is enabled in your Labor Cost Settings. 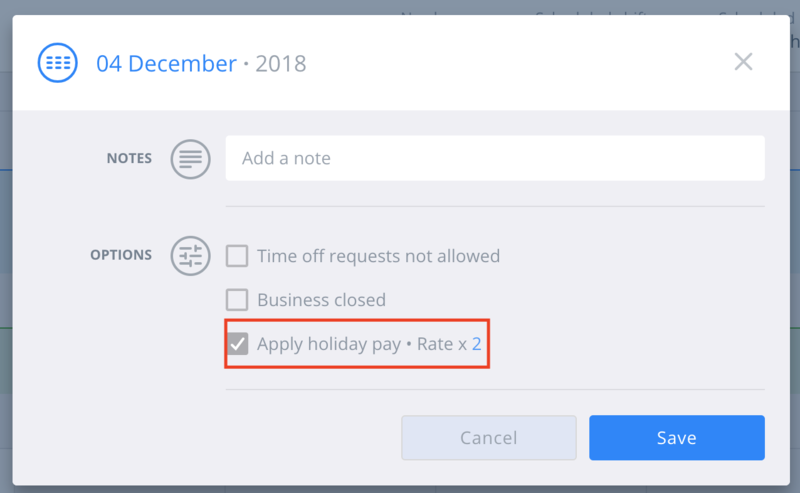 Once enabled, you can designate the Holiday Pay Rate which will be applied to all shifts worked on the days marked 'Holiday'. Once the settings are in place, you can mark any day as a holiday by clicking on the + icon next to the date. A window will pop up where you can choose to apply holiday pay. Once saved, you and your employees will see the day highlighted on the calendar as an indication that the holiday pay rate is applied. 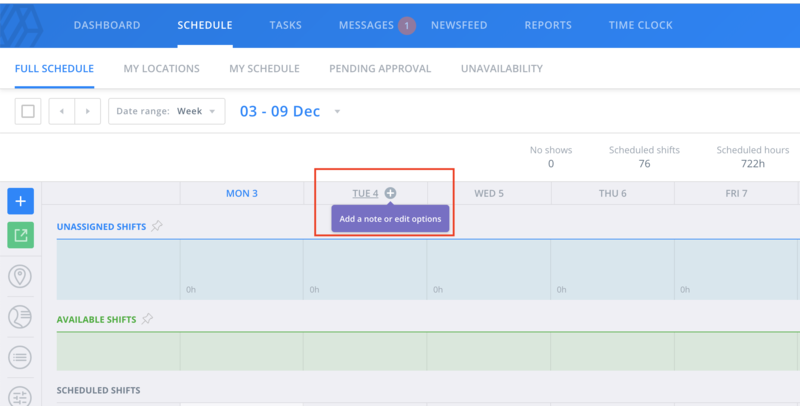 Managers and admins will also notice new summaries detailing holiday costs.